It seems that I've leaped out of the neutral zone and landed in the brights and I don't seem to have any plans to leave yet.I just can't stop buying colours! And when it comes to beauty on a budget (like mine tends to be) I think Sleek is one of the best places to go. Today I'm bringing you the limited edition Sleek Del Mar palette in the hope that you'll fall in love with it just like I have. 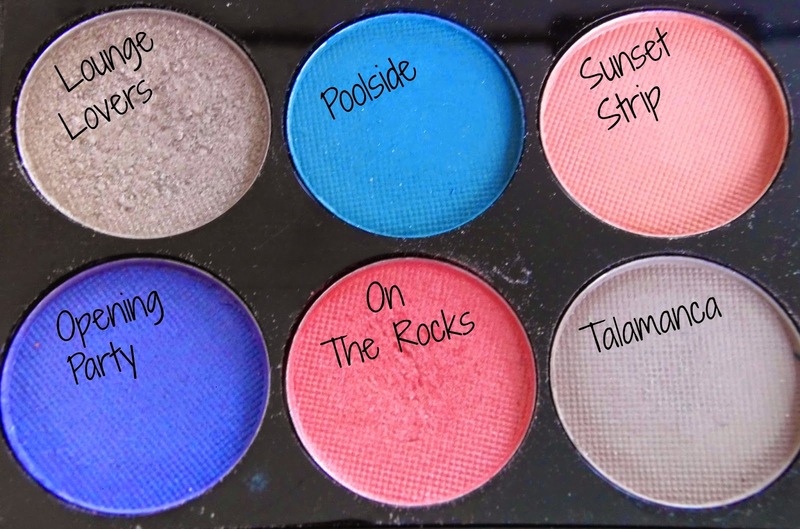 According to Sleek themselves, this palette is "inspired by the tranquil, calm feel of Ibiza's chilled out atmosphere, with soft coral oranges of the sunset, deep aqua blues of the sea and sublime greens of the picturesque view" and while I usually read these descriptions and have a little giggle to myself about how ridiculous they seem, this one actually lodges itself somewhere in my mind and I can actually see where the inspiration lies. Do these colours not scream tropical island to you? 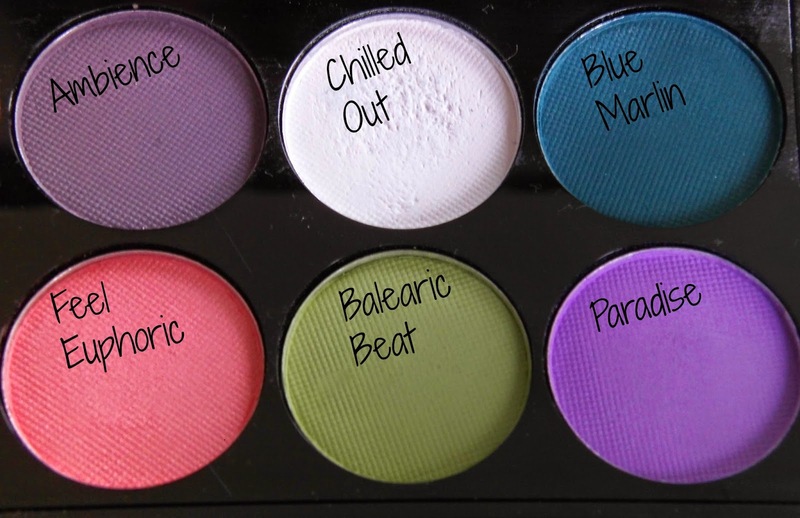 As with all of the Sleek i-Divine palettes, this contains 12 shades which are all beautifully soft and easy to blend and the shade range is lovely and varied which I really love about Sleek palettes. Lounge Lovers is a beautiful, cool toned gold shade and is the only intense metallic in the palette. This makes a perfect base to go all over the lid with any of the other colours worked through the crease or it could be worn alone. Poolside is a deep, sky blue which appears a lot darker than it does in the pan. This is a matte shade and has a little bit of fallout when used, but that's fine by me because the colour is so beautiful. Sunset Strip is a peachy orange shade and is also a matte. When I first saw this I thought I'd never be able to get away with wearing it, but it works really beautifully with my pale skin. I've been blending this above the crease as a transition shade from one of the shades coming up and I love it. Opening Party is possibly my favourite shade in the whole palette because it's quite an unusual one to find in a drugstore palette. It has a duo-chrome finish which shines blue in some lights and purple in others which looks absolutely beautiful on the centre of the lid. On The Rocks is a bright coral shade with a pink undertone which has an almost satin finish... it has a very subtle shimmer to it which is barely noticeable. This is a really pigmented shade, with one swipe picking up loads of colour. I've been wearing this through the crease, with Lounge Lovers all over the lid and Sunset Strip as a transition colour almost every day since buying this palette. The three work perfectly together. Talamanca is a matte, very light brown, camel shade. I haven't used this with the other colours in the palette yet, but I have used this in the crease when I'm wearing a dramatic winged liner just to give it a bit of depth as it's light enough to be 'barely there' but still look really pretty. A very understated beauty I think. It doesn't stand out amongst the other brighter colours but it is lovely. Ambience is a matte, muted purple which again, is darker than it looks in the pan. I don't know what it is about this shade but I really love it and I think it would look beautiful smoked out along the lashline and through the crease for an alternative smokey eye! 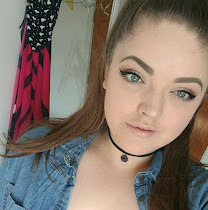 I think this would look lovely if you blue or green eyes, like mine! Chilled out is the most disappointing shade for me. It's a matte white shade but the pigmentation isn't amazing (although I am very pale so that probably doesn't help) and it's the only shade in the palette which is really quite chalky. Nevertheless, it makes for a good highlight on the brow bone or inner corner so it's not all bad! Blue Marlin is stunning deep, matte teal shade. I love the name of this one and I absolutely adore the colour. Once you've put this on your lid, it won't budge. It is so long-lasting, probably because of the intense pigmentation which is amazing. I've really fallen in love with this one. Just look at it! Ugh. Feel Euphoric is a light pink, almost a bright baby pink I'd say. This is another satin finish one with a subtle shimmer. I haven't used this on my eyes yet as I'm just a little bit nervous about pinks still, but it is a beautiful shade. Balearic Beat is a very pale lime green which has a matte finish, again. The pigmentation isn't great with this shadow; I put that down to it being so light. I think it would look great with loads of the other colours from the palette, though. Paradise is a bright, matte, lilac purple shade. Purples are something that this palette has done really well I think. The pigmentation is great with this one and it blends beautifully! At £7.99 for 12 shades, I don't think you can really pass up the opportunity to try this palette. There is a range of colours which will suit any number of skin tones beautifully and you can create so many looks out of just the one palette! And it's small enough to fit in your make-up bag! Endless possibilities I'd say! It is limited edition though, so if you like it then you'll have to be quick because it's only here for the summer! Would you be interested in seeing any of the looks I've tried out with this palette?